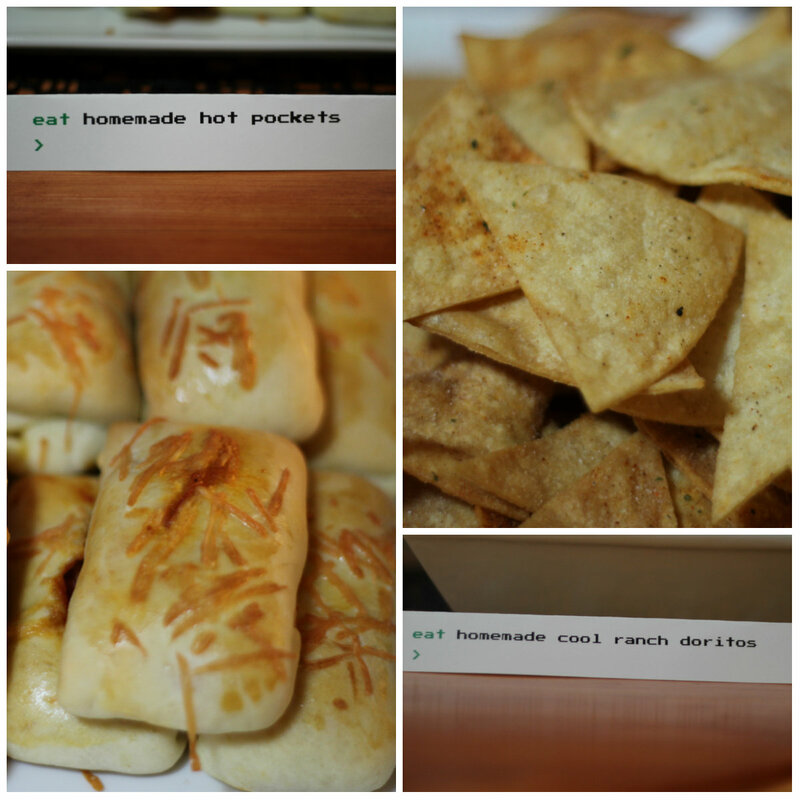 Last week, I gathered some of my gaming-loving friends together for a Text Adventure Party. Yes, a party based on those text adventure games from the 80’s. The activities of the night centered around playing Parsely, a live-action game based on the text adventures. We started with Action Castle, which is their recommended beginning game, and ended up graduating onto some actual text adventure games on our main computer (including one Mr. Geek whipped up that focused on the players going through the rooms in our home!). Want to throw your own Text Adventure Party? Take a look below for pics and tips! As mentioned above, you’ll want to get your hands on at least one Parsely game (they’re available online for only $5 each!). If your friends are experienced with text adventures, you may end up going through more than one. Print out descriptions of your rooms in the text-adventure style. If you want that old-school font, use Press Start 2P. Mr. Geek wrote ours, as you could probably tell from the description of the kitchen, above. Don’t forget to label your food items as well! Food and drink is my favorite part of any theme party, and it’s the part I give the most attention to. 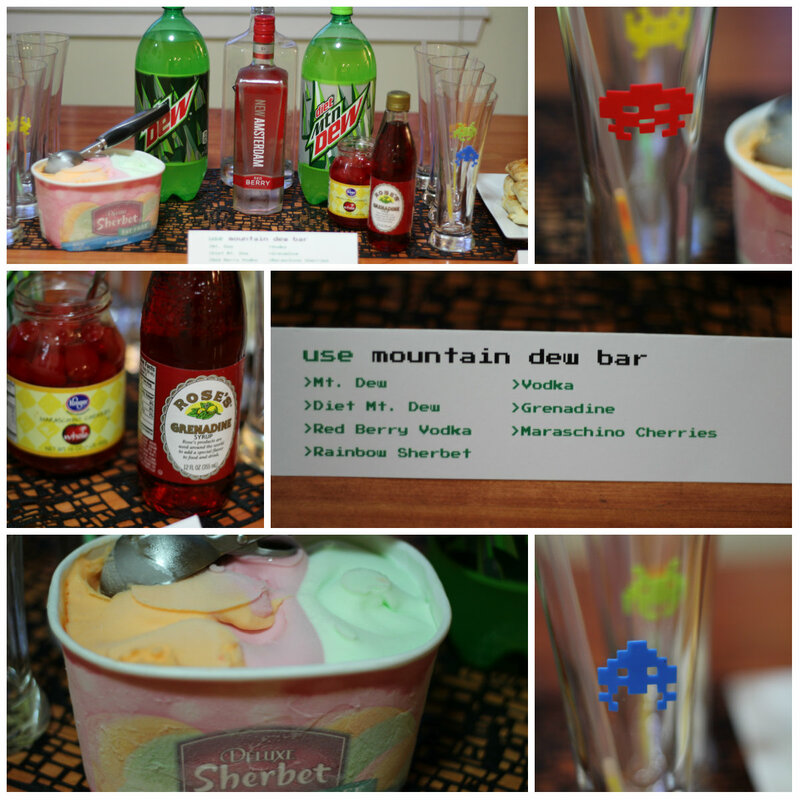 I wanted to take nostalgic gamer food and make it a bit more “grown up.” I did this by creating a Mountain Dew bar with a variety of mix-ins, baking my classic Mountain Dew cupcakes, and making homemade Cool Ranch Doritos and Hot Pockets. They were a hit! I chose mix-ins I thought would be delicious with Mountain Dew and would allow my guests to make their own versions of Mountain Dew “Code Red”. What else should I include for my next Mountain Dew bar? Let me know in the comments! I revamped the Mountain Dew Cupcakes frosting recipe a bit by adding in some orange flavoring in addition to the lemon and lime. It tasted much more like Mountain Dew! I had never fried my own chips before, but it was much easier than I expected. These chips were being munched on all night, and guests seemed to love them! They’ll turn out a bit thicker and greasier than your average CRD, but they’re pretty tasty. I used a recipe from Macheesmo.com and it was fantastic. Sure, eating Doritos straight out of the bag is easier, but these are cheaper, most likely somewhat healthier, and MUCH more impressive to have at or bring to a party. Preheat the oven to 375 degrees. Prep a cookie sheet with a quick spray of cooking oil. Divide your pizza dough into 16 equal sections and roll them into their own individual balls. Roll the balls out as thin as you can while still maintaining some structure (around ⅛ inch thick). Keep in mind that the dough will fluff up considerably! Mix the sauce, mozzarella, pepperoni, and seasonings together in a small bowl to make the filling. Using a small spoon, scoop out a bit of the filling and place it in the middle of the rolled out dough. Using a burrito-method, fold in the sides of the pizza dough and roll it up to create a small hot pocket-shape. Press the edges lightly with your fingers to make sure everything is closed tightly together. Carefully place the "hot pocket" onto the cookie sheet. Continue with the 15 others. Whisk one egg, and brush the egg onto the tops of the hot pockets. (This will give it that browned top). Sprinkle with Parmesan cheese. Bake for 20 minutes. Let cool slightly (we all know what happens when you bite into a hot pocket first thing!) and serve! Any other suggestions for hosting a text adventure party? Leave them in the comments! This looks like so much fun! Your Mountain Dew bar is seriously impressive. I can’t think of anything to add.